CAPS United forward Gabriel Nyoni will be the centre of attraction when he returns to familiar territory, Barbourfields Stadium, in an epic Castle Lager Premier Soccer League encounter in Bulawayo today to face the club that nurtured him in the past six years. Highlanders will claim they made the speedy winger, who scored six goals for them and was vice-captain of the club last year before he joined Makepekepe at the start of the season. Nyoni and Newman Sianchali, who also starred for Highlanders upfront scoring six goals last season, before joining CAPS United, are likely going to receive a hostile reception from the crowd that cheered them on last year. CAPS United also have the former Highlanders duo of Joel Ngodzo and Valentine Ndaba in their ranks, but the spotlight will no doubt be on their speed merchant Nyoni. "It will be an emotional return. Barbourfields has been my home for the past six years and naturally I know some will greet me with hearts full of love and others full of hate. That is the beauty of football," Nyoni said in an interview with StandardSport ahead of the big clash. "The game needs such things to make it interesting. I will have to stay calm and do my job as instructed by the coach [Lloyd Chitembwe]. The love and the hate will be before and after the game, otherwise during the game I will just concentrate on my play." 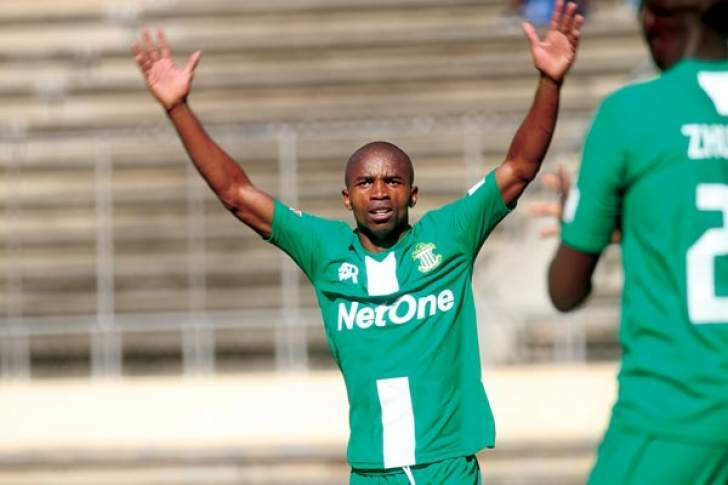 Nyoni has carried his form at Highlanders from last year and inspired CAPS United to a 2-0 win over Manica Diamonds at the National Sports Stadium last Sunday on his debut for the Green Machine. CAPS United mentor Chitembwe believes that Nyoni and Sianchali are professionals who know what to do when they face their former team, which means there is no need for any special instruction to the players. "There is no special instruction. I believe they are professionals and they know what to do to compete against their former side," he said. "We are here to try and help them on technical and tactical issues of the game and not on how they should react to the environment. They should be able to manage that." Matches between the two giants of local football always produce fireworks and this afternoon's clash is potentially explosive. Of note is the fact that Highlanders have not beaten CAPS United in the league since the narrow 1-0 win at Barbourfields Stadium in June 2017. CAPS United have won two of the five matches played since then while the last three encounters have ended in stalemates. Highlanders will also take solace in the fact that the visitors have not won in Bulawayo since 2015 and will be keen to preserve the status quo. However, Chitembwe believes his troops have what it takes to beat Highlanders and build on last week's opening day victory over Manica Diamonds. "I am sure we have the capacity and the belief to go out there and cause problems for Highlanders and our aim and our ambition is to try and win the match. I just want to see the reaction after a good home performance. I just want to see how they react away from the usual familiar environment," Chitembwe said. CAPS United will face a Highlanders side, which will be eager to collect their first win of the season after being held to a one-all draw by Black Rhinos in their season opener at the National Sports Stadium last Saturday. Following a crippling strike over unpaid salaries by the bulk of the Highlanders players during the pre-season, there have been concerns over the fitness of the players at the club. However, Highlanders assistant coach Bekithemba Ndlovu remains confident of a win against CAPS United. "We have prepared well for CAPS United. Everyone wants to play and I think it's healthy for the coaches. The boys are pushing hard and from what I have seen at training, I think come Sunday [today], we will be ready to come up with a very good result," Ndlovu said.